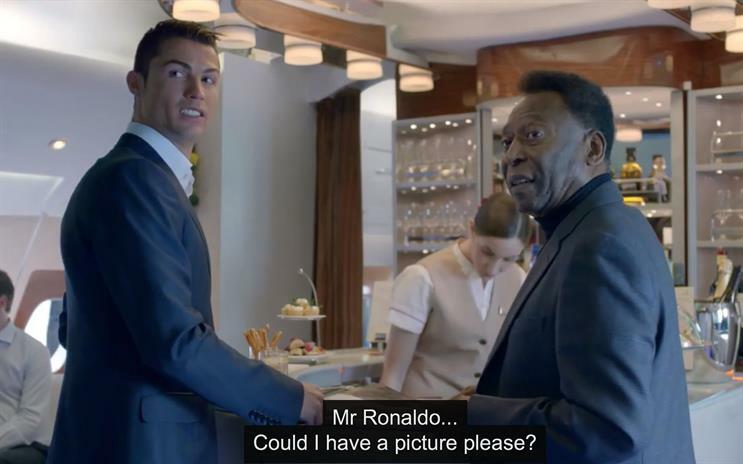 Emirates, a FIFA World Cup sponsor, pulls out the big guns for this ad starring both Pele and Ronaldo. The spot shows these two legendary footballers in gentle competition over who is the most famous. Gary Oldman stars in this ad for the HTC One (M8). Presumably, the smartphone has garnered rave reviews as the actor prompts viewers to "ask the internet" about it. Robinsons Squash'd, a concentrated fruit squash that comes in strange squidgy packaging, decided to get Framestore, the Oscar-winning production house behind Gravity, to drink the product at zero gravity. Why? Why not?